Three activists with the environmental NGO Mother Nature fled the country on Sunday to boycott an appeal process they initiated, the group’s founder said on Wednesday, characterizing the trial as a politically driven reprisal for their criticism of Cambodia’s sand trade. “The three activists have decided to boycott the upcoming trial on the 31 January because we suspect that the court is under pressure by vested interests who have benefited from the smuggling of sand and the court is being used as a tool of revenge against the activists,” the group said on its Facebook page on Wednesday. However, Chhin Long, a spokesman for the Koh Kong Provincial Court, said the men had nothing to fear. 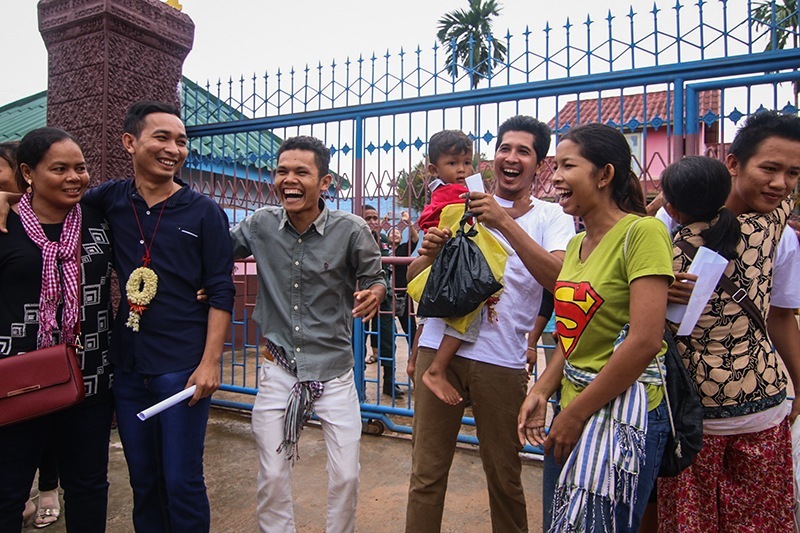 Sim Samnang, Try Sovikea, and San Mala spent 10 months in detention before receiving 18-month prison sentences in July and being ordered to pay dredging company Direct Access about $25,000 for threatening to destroy one of the company’s barges in Koh Kong in 2015. The judge suspended the last eight months of their sentences, allowing the activists to walk free after the trial. The trio then appealed the hefty fine, saying that prosecutors’ evidence, which rested on footage of the men attending protests against sand dredging, was insufficient. Mother Nature’s founder Alex Gonzalez-Davidson said the trio decided to flee rather than hear their appeal because of changed circumstances. Documents from a U.N. trade database show Cambodia recording tens of millions of tons fewer in sand exports than Singapore reported receiving from 2005 to 2015, sparking allegations of corruption by Mother Nature and other groups. Mr. Mala said on Wednesday he was scared and was not sure when the group would return. “We are abroad now, but we cannot tell you where we are,” he said via Skype.